IT is BACK! Dark Techno is darker, deeper and heavier than ever! 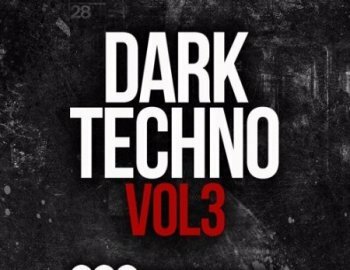 Dark Techno 3 is the ultimate techno production tool for 2017 and 2018. Featuring 460MB of Driving Basslines, Dark Berlin Drum Loops and Synth Loops, Fx Vocal Loops, Cold Melodic Tech Toplines and One-Shots, Percussion Loops & Drum Hits, FX and much more. Inside this pack you will find a huge amount of dark techno samples in different keys and 1 tempo (125 bpm) "Underground”, "Dark'' ,''Dirty'' are the words that describe this pack best!